New York and Amsterdam, May 8th, 2018 - EVBox, the leading global manufacturer of electric vehicle charging stations and charging management software, has been selected by the Pacific Gas and Electric Company (PG&E) as the first supplier for the EV Charge Sponsor portion of the EV Charge Network program. The EV Charge Network is an EV charging station program for workplaces and multi-unit dwellings in northern and central California. Through the program, PG&E will pay for and build the infrastructure for customers from the electric grid to the charger. The program consists of two options for customers — EV Charge Sponsor and EV Charge Owner. For EV Charge Owner projects, customers themselves will own, install and maintain the EV charging station and receive a rebate off the cost of their charging stations. 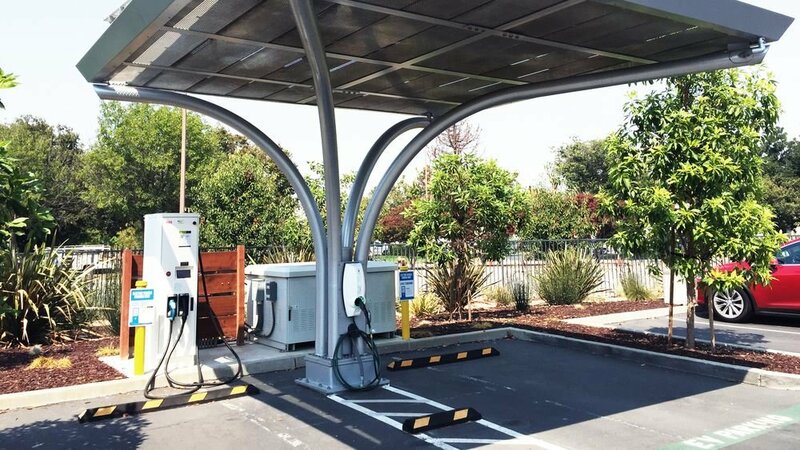 For EV Charge Sponsor projects, PG&E will own, install and maintain the EV charging station and customers will pay a low participation fee per station. EVBox is the first company selected by PG&E for both the Charge Owner and Charge Sponsor part of the program. PG&E, which is based in San Francisco (CA), is one of the largest combined natural gas and electric energy companies in the United States. With the EV Charge Network program, PG&E and its partners are helping to accelerate California's transition to a clean transportation future by offering electric vehicle charger installation at customer locations in PG&E's service territory across northern and central California. We are very happy to be chosen by PG&E to help grow its charging station network around California. This confirms our position as a true global leader, with an established network of over 55,000 chargers and a strong long term vision on how to accelerate the rEVolution. Because of this and our extensive experience with large public charging projects - for example 2000+ public charging stations on the streets of Amsterdam, our financial strength and OCPP experience - we are in a perfect position to support PG&E in moving forward with its clean transportation efforts. EVBox is the leading global manufacturer of electric vehicle charging stations and charging management software. With an installed base of over 75,000 charging points across more than 55 countries worldwide, EVBox drives sustainable mobility, by bringing durable electric vehicle charging solutions to the world. EVBox has offices in Amsterdam, Antwerp, Copenhagen, Oslo, Milton Keynes, Madrid, Munich, Paris, Bordeaux, New York and Los Angeles. Since March 2017, EVBox is a part of ENGIE. In 2018, EVBox acquired ultra-fast charging station manufacturer EVTronic, adding 700 previously installed fast charging stations to its European network.